Helena Bengtsson is Editor, Data Projects at the Guardian in London, UK. 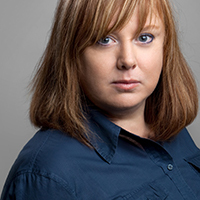 She previously worked as the database editor at Sveriges Television, Sweden’s national television broadcaster. In 2006 and 2007, she was database editor at the Center for Public Integrity in Washington, D.C. She has been awarded the Stora Journalistpriset (Great Journalism Award) in Sweden twice, in 2010 for Valpejl.se and in 2016 for innovator of the year.